The best designs are born from the best client-designer relationships. They aren't born from relationships where the designer calls all the shots or where the client tries to play designer. Rather, the best designs are born from a client-designer relationship that follows these three steps: clear role definition, honest and open communication, and trust. A balanced design-build process yields the best results. Regular, open communication with our clients becomes the basis for our design and estimating work. We encourage and support our clients in the exploration of solutions that will best reflect their lifestyles and tastes. We design remodels with a focus on creativity, sustainability and context. Our construction process focuses on minimizing disruption and anticipating challenges to expedite completion. 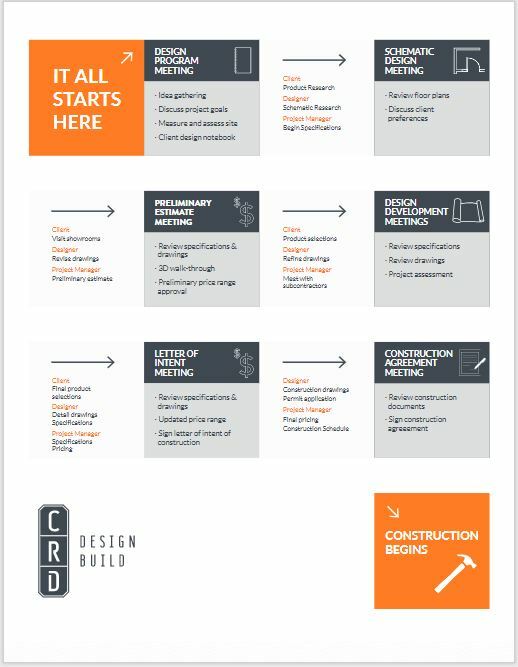 At CRD Design Build, we believe communication is central to the success of any project. The four phases of our design-build process, discover, design, develop, and deliver are key. Of course, no two clients or projects are alike, so this is a framework for creative collaboration. After all, whatʼs balance without flexibility?